Hearst UK, the leading premium publisher, has partnered with Cambridge School of Visual and Performing Arts (CSVPA) to offer two scholarships for UK students in a bid to encourage accessibility and diversity in the fashion and creative industries. This includes one scholarship for the prestigious CSVPA BA (Hons) Fashion degree course, headed by award-winning designer Holly Fulton, which is affiliated to Harper’s Bazaar, while one scholarship for the UAL Extended Diploma in Creative Media Production & Technology (including accommodation) will be associated with Cosmopolitan. Both scholarships are for September 2019 entry. The courses are specifically designed to give students the skills the creative industries really need, underlining CSVPA’s commitment to a high-quality learning experience geared to the demands of a fast-changing and successful sector. 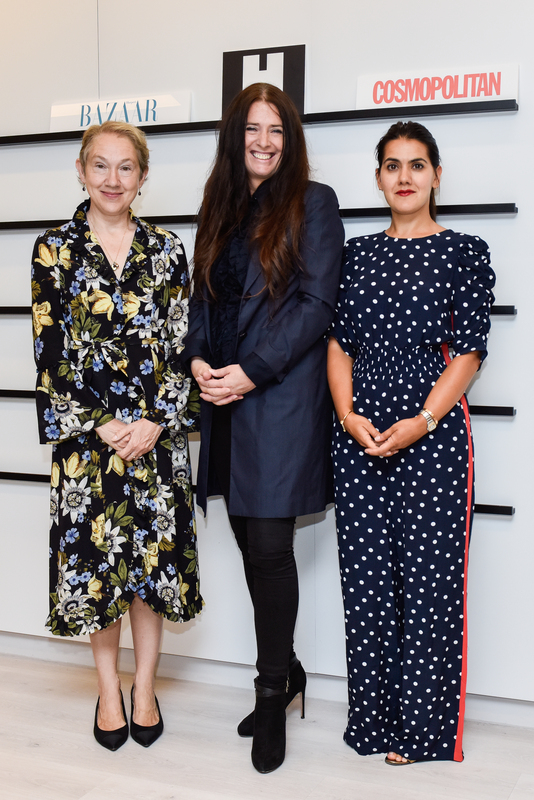 Recipients of each scholarship will also be offered the opportunity to undertake work experience or an internship at one of Hearst UK’s fashion titles. The scholarships are designed to create new opportunities for talented individuals who may otherwise find such courses inaccessible, due to their economic circumstances. This initiative is an extension of Hearst UK’s existing partnership with CSVPA launched in 2016 with an MA in Art & Design, which you can read more about here. With a focus on contemporary fashion design or branding, this three-year degree course encourages creativity whilst equipping students with all the skills needed to work in the fashion industry, and is headed up by award-winning designer Holly Fulton. This is an intensive two-year, full-time diploma providing a broad understanding of the creative process of animation, film and games design. It is for 16-18 year olds and offers an alternative route to A-levels. The scholarship includes accommodation and is fully catered for the two years. CSVPA is one of the UK’s leading providers of Art & Design, Fashion, Drama and Music pathway and degree programmes. Our school provides a unique and highly personalised method of learning, creating an environment in which to nurture, educate and encourage creative individuals. Over the last 30 years we have increased our portfolio to include Undergraduate and Postgraduate degrees, and established links with leading companies in the creative industries, including Hearst UK. Hearst UK publishes 23 brands including ELLE, Harper’s Bazaar, Cosmopolitan and Good Housekeeping. Our brands reach over one in three UK women and one in four UK men every month, enabling consumers to get more out of life and our trusted content engages them wherever they are. We sell over four million magazines a month and have 17 million UK digital unique users, reaching 22 million fans and followers through our social media platforms including Snapchat Discover. Hearst UK’s events division – Hearst Live – connects with over a million people a year through events such as Cosmopolitan’s Self Made, Country Living Fairs, Esquire Townhouse and Red Smart Women Week. Our licensed brand extensions include Country Living sofas and House Beautiful Homes. We also have a growing B2B operation offering accreditation via the Good Housekeeping Institute, a state-of-the-art testing facility in Soho. Hearst UK is the trading name of National Magazine Company Ltd.